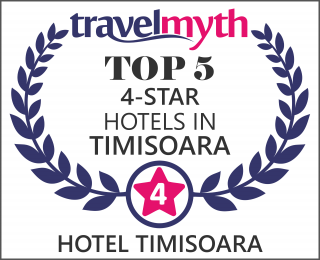 Meeting & Conference Rooms – Hotel Timisoara - Best Accommodation in Timisoara 2014! Hotel Timişoara fully covers the customers’ business needs. A face-to-face meeting or an international symposium, everything is equally possible. The business premises are 100% versatile and polyvalent. Six modular rooms can receive from 30 to 400 participants. They can be easily transformed to house a private board meeting or a conference for up to 350 persons. An informal reception or even a glamourous evening ball. Each premise features the latest technologies. Moreover, the lobby provides a large business corner, with full technical support. Wireless internet is available everywhere in the building. Hotel Timişoara is overly dedicated to business. It is a genuine business center.